The upbeat, informative sessions will include a complimentary Brunch! It will followed by an informal discussion. 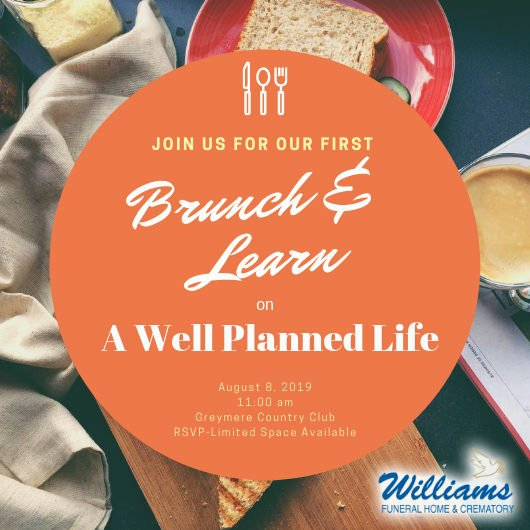 The topics addressed will include the value of pre-planning for yourself or for your parents; current trends, options, and costs; protecting assets; burial versus cremation; and veteran’s benefits. Spend some time asking questions when there has not been a loss...we promise it is so much easier...if not for the questions then for the brunch!